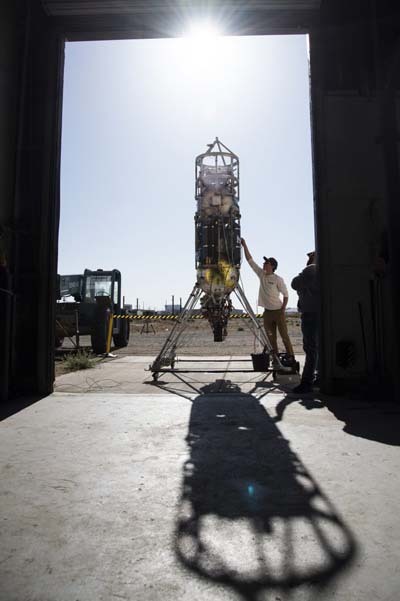 MOJAVE, Calif. (NASA PR) — Just a sample will do. 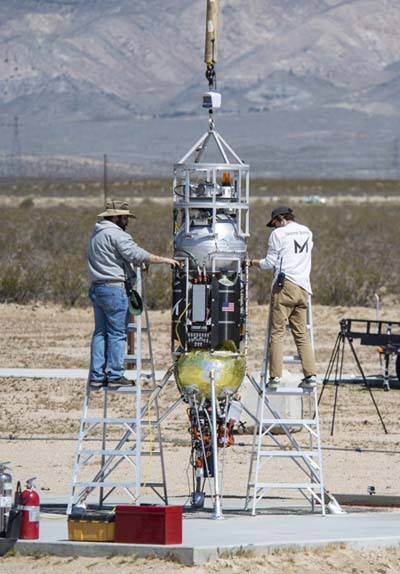 Honeybee Robotics in Pasadena, California, flight tested its pneumatic sampler collection system, PlanetVac, on Masten Space Systems’ Xodiac rocket on May 24, launching from Mojave, California, and landing to collect a sample of more than 320 grams of top soil from the surface of the desert floor. Both Masten and Honeybee are national treasures. I hope the Trump administration gives them a good workout in space. Hmm . 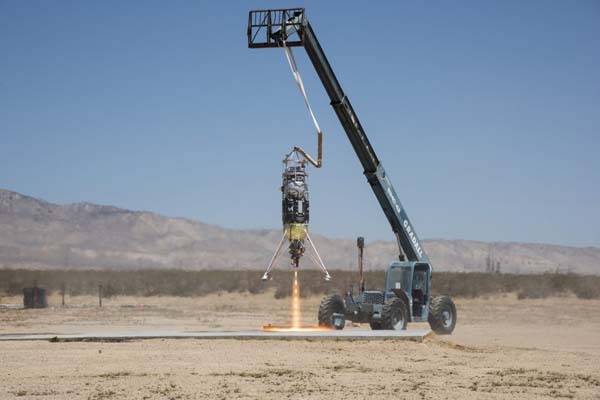 . . it seems to me that the sample would be seriously contaminated by landing downblast in its landing pad application.